Eleven people were killed and seven were injured at a mass shooting that occurred during Shabbat morning services at the Tree of Life (L’Simcha) Congregation in Pittsburgh on Oct. 27, 2018. This was the deadliest act of anti-Semitism in North American history. As a show of solidarity with the Jewish community of Pittsburgh, the Jewish Federation of Greater New Haven held a community-wide Solidarity Shabbat on Nov. 4 at the JCC. 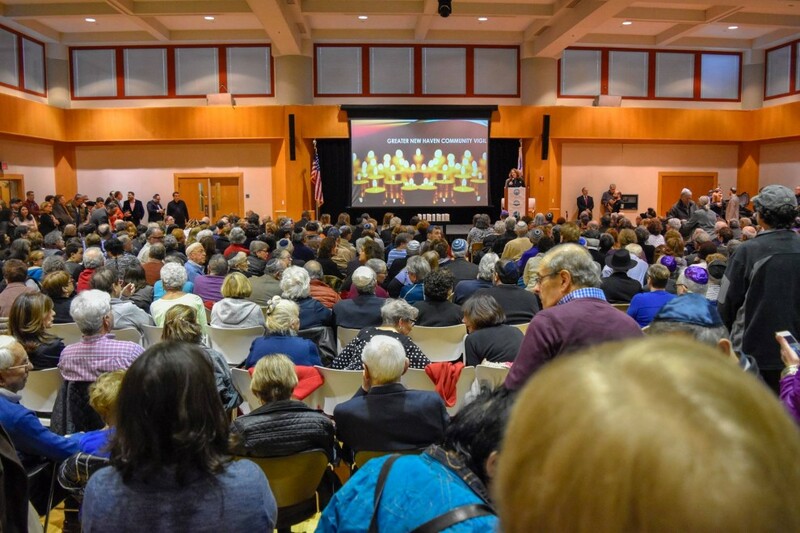 One-thousand people filled the auditorium, with another 300 spilling out into the hallway, according to Jewish Federation of Greater New Haven CEO Judy Alperin, who emceed and organized the event. Together, with local lay leaders and elected officials, the Federation remembered the 11 Jews who were killed and showed the world that love triumphs over hate. 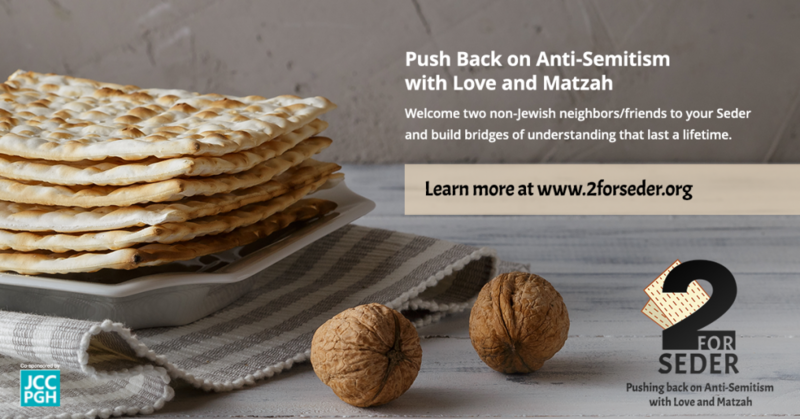 The Federation also asked the community to help honor their memory by filling the area congregations during Solidarity Shabbat that weekend as a proud and unified community. The Jewish Federation has a special role to play as convener of our Jewish community and we are proud and honored to fill that role in times of happiness, times of memorial and times of great tragedy. Thank you to clergy and community leadership, both from our Jewish community and beyond, who came together at a moment’s notice to stand together at our community’s vigil to mourn those lost in Pittsburgh and to pray for the recovery of the injured. We were reminded in those moments of pain that together, we are one community and that together, we can work for a brighter future.